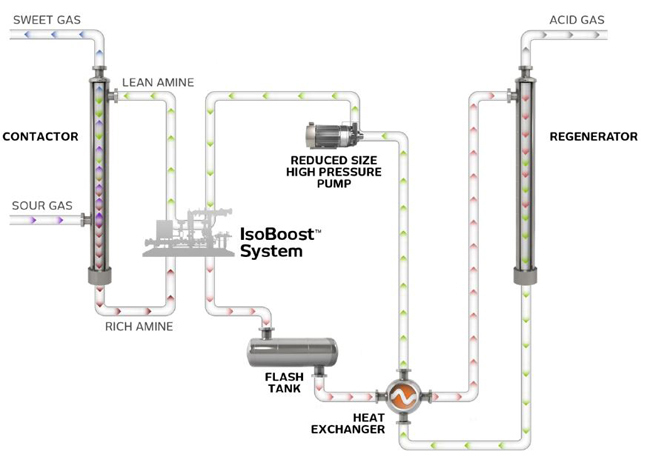 The IsoBoost™ System is the highest efficiency energy recovery system on the market for amine processing. It recovers energy in acid gas treatment processes at up to 80% efficiency, increases productivity and profitability — and reduces carbon footprint. The technology is designed to harness energy from pressure drops in one liquid process flow to boost the pressure in an adjacent flow. 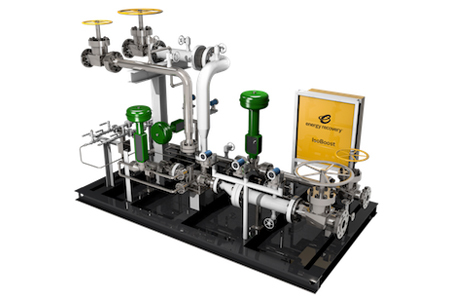 At the heart of the system is a hydraulic turbocharger, customized for each application to yield optimal operational flexibility at unparalleled efficiencies.